The latter was abandoned more than a decade ago by its enthusiastic bowlers, but then about four years ago the adjacent Coston’s brook was dredged and the spoil from this operation was taken to the bowling green area and planted with poppies (which of course love freshly turned soil). More recently the area then became overgrown with grasses and the poppies vanished. 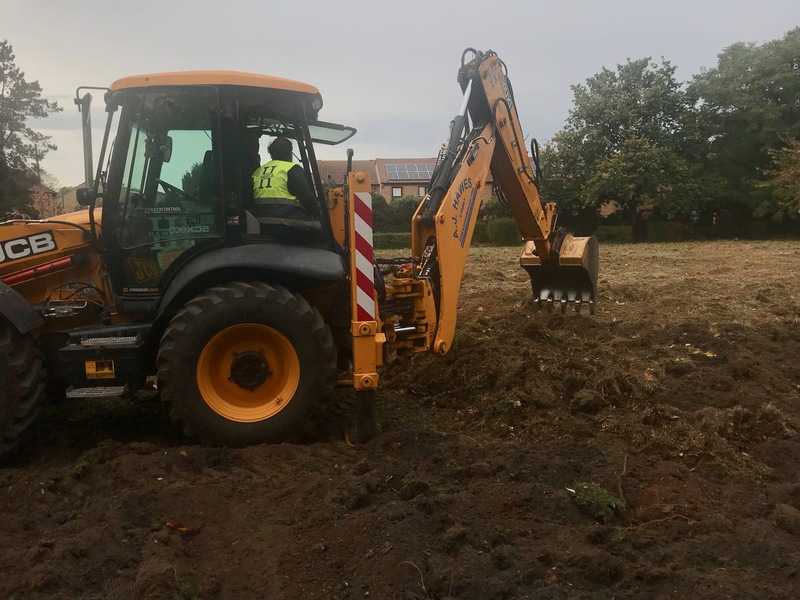 Today’s operation involves levelling the green (the spoil had created a sloped area) and digging in some of the good quality topsoil retrieved from the creation of a pathway through the park, in order to improve the quality of the orchard topsoil. Chatting to the contractor (above), he also corrected me on the design behind this year’s meadow plantings, adjacent to the orchard. During July and August there was essentially no rain and the area looked much less colourful than it had done last year. It turns out that this was the result at least in part of a deliberate strategy of planting less colour and much more to produce bird seed! Indeed, there is now a profusion of seeds in the park for the birds to eat during the coming autumn and winter months. A good reminder that the park is not just for humans to admire the flowers, but also for the birds, bees and butterflies to enjoy! 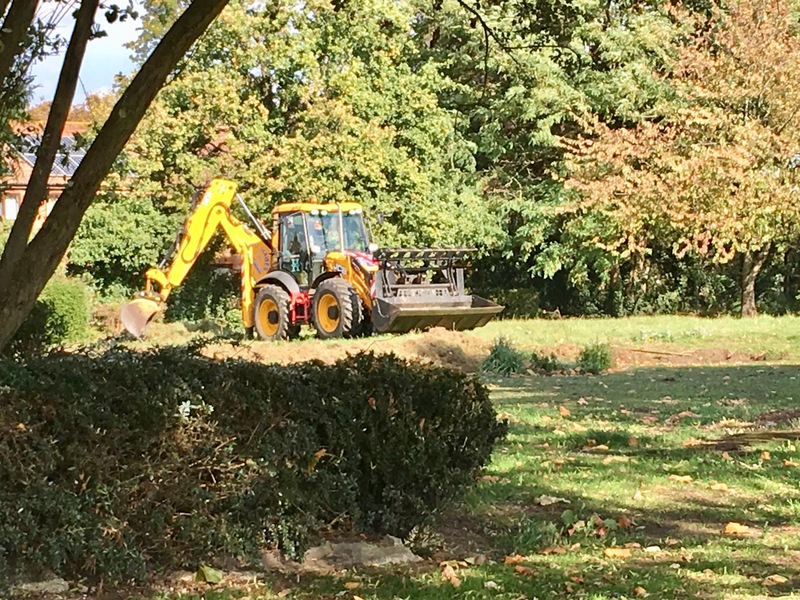 In total some 75 hectares of floral and seed meadow plantings were made this year in the borough of Ealing and there is the possibility that it might be even greater next year. Certainly our entirely unscientific survey of the birds in the park this year suggests it has been a bumper one for sparrows, following several years when they appeared quite thin on the ground. Perhaps the seeds this year will result in an even better year next year for our bird populations. Previous PostPrevious A survey of the plant ( + bee & spider) life in Perivale West Meadows. Next PostNext Botanic Gardens – 1452 to 1673.